1. What time does the You Can Heal Your Life Summit start? The You Can Heal Your Life Summit begins on May 4, 2019 at 12:00 AM PT. We will release 84 lessons in eight series from May 4 – 20 on the following dates: May 4, 6, 8, 10, 12, 14, 16, and 18. The last day to listen for free is May 20 until 11:59 PM PT. Be sure to add youcanhealyourlife@email-hayhouse.com to your safe sender list in your Contacts. We expect to have a very positive response to the You Can Heal Your Life Summit. If the web pages do not load properly, please try again in a few minutes. For optimum performance on a mobile device please view the website while you have access to Wi-Fi. Prior to the start of the You Can Heal Your Life Summit we recommend you test your equipment by clicking on the player bar below. If you cannot hear the sound clip, please check your device audio settings. 6. I've listened to a lesson and I'm ready to continue on my path. Now what? Now that you've enjoyed a lesson with one of your favorite experts, it's time to find the next lesson to help you on your personal growth journey! If you're not sure which lesson to listen to next, you can Ask the Universe. This feature takes the guess work out of choosing another lesson to help you on your path to self-discovery, health, and success. Just click the "Ask the Universe" logo at the bottom of any lesson page or choose "Ask the Universe" from the left hand sidebar on this page. 7. Is the You Can Heal Your Life Summit available in languages besides English? Although many of Hay House books and products are available in multiple languages, based on demand, the 2019 You Can Heal Your Life Summit audios and videos are available in English only. 8. After purchasing one of the packages to own the You Can Heal Your Life Summit how do I access my digital audio downloads, PDF transcripts, and worksheets? Click on Audio Downloads under Your Digital Library. Alternateively, you can click on Audio Downloads on the left side of the page under "Your Dashboard". Click Access Now on lesson you would like to download. 9. How do I download my Audio Downloads? 11. How do I download my PDF Transcripts and Worksheets? After purchasing one of the packages to own the You Can Heal Your Life Summit, the talk transcripts will be available from May 4th, 2019 onwards. They can be downloaded as PDF files and saved offline. Please note: All of the talks have transcripts but not all of the lessons have accompanying worksheets. 12. Can I access the movies as part of my digital or physical package purchase? The movies are free to watch for the duration of the Summit (May 4-20, 2019). The movies are included when you purchase the Summit by May 24, 2019 at 11:59pm PT. If you purchase the digital or USB package, all videos will be added to your hayhouse.com My Digital Library area (https://www.hayhouse.com/my-library/onlinevideos/). 13. Can I purchase the You Can Heal Your Life Summit packages in a foreign currency? 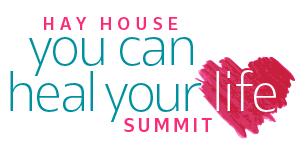 The You Can Heal Your Life Summit is available for purchase in U.S. dollars only. Please note that Hay House does not control and is not responsible for fees charged by local banks and/or currency conversion fees. 14. What is the return policy? Hay House Customer Care within 60 days for a full refund, no questions asked. 15. I purchased the USB Package, how can I use that? 16. The video isn't loading. What do I do? 17. The video is pausing or glitching. What do I do? 18. Will your videos have Closed Captioning? 19. After purchasing the digital package to own The You Can Heal Your Life Summit, how do I access my online video lessons? 20. After purchasing the digital package to own The You Can Heal Your Life Summit, how do I access my online video lessons? 21. I purchased a USB Package, When Will I Receive it? If you purchased a USB Package, the USB will be shipping mid May 2019. You will receive an email notification when the product has shipped. Part of the package includes a digital package which you can access through your Hay House Account on May 4, 2019.